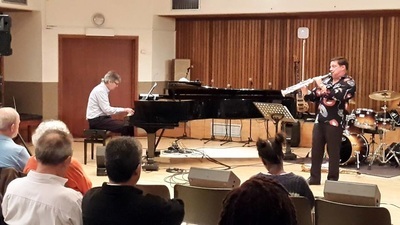 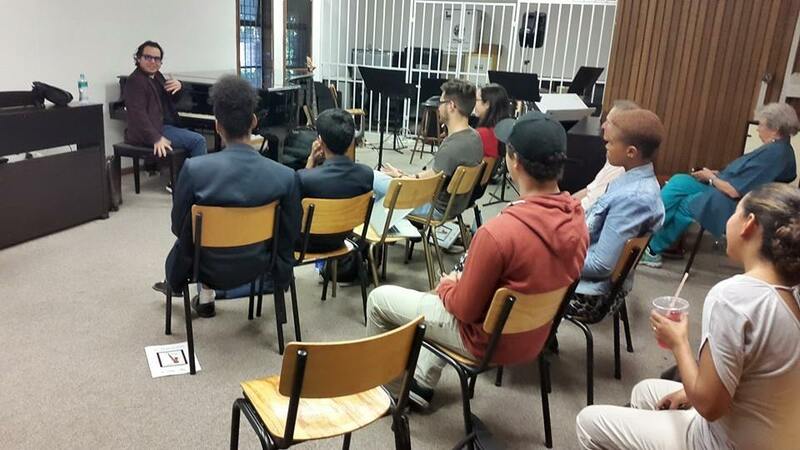 9 - 25 September 2016: Two jazz students from Italy - Marco Varvello (piano) and Andrea Elisei (drums), spent two weeks in Cape Town studying at the SA College of Music at UCT and doing performances. 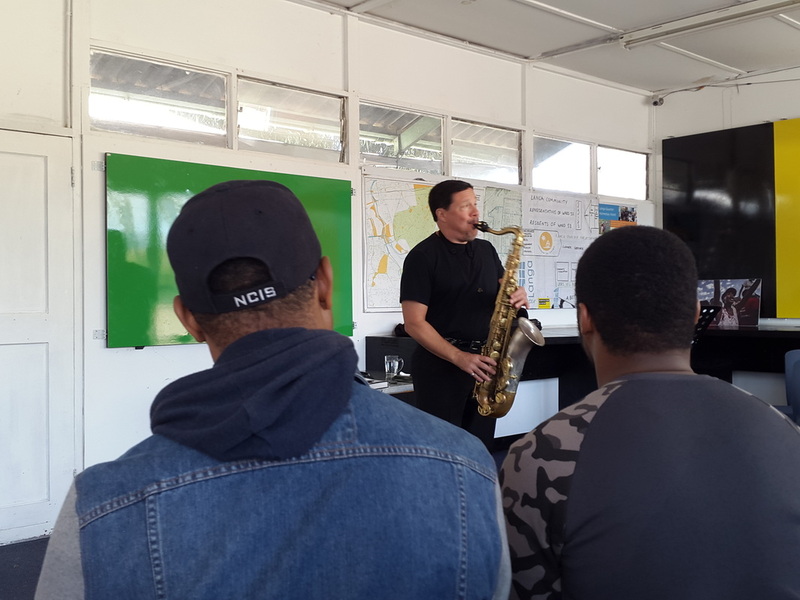 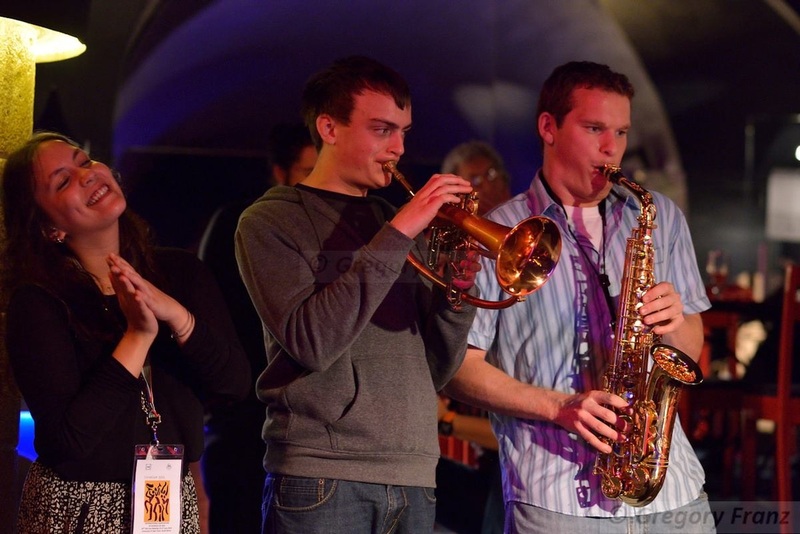 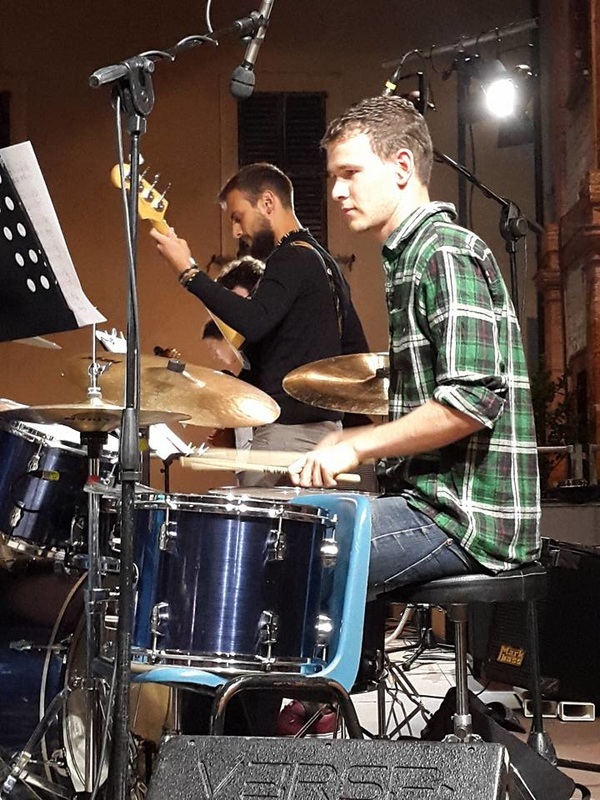 27 July to 9 August 2016: Two jazz students from the South African College of Music, University of Cape Town won SAJE/AJF bursaries to study in Italy for 2 weeks from 27 July - 9 August 2016 at the Arcevia Jazz Feast - congratulations to saxophonist Evan Froud and drummer Jarryd West. 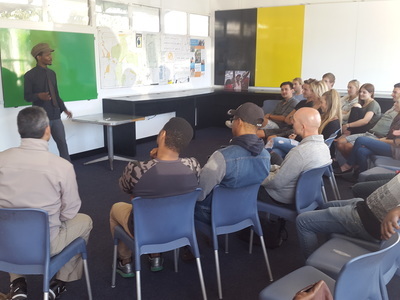 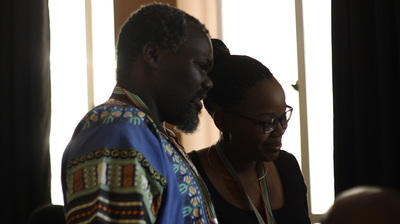 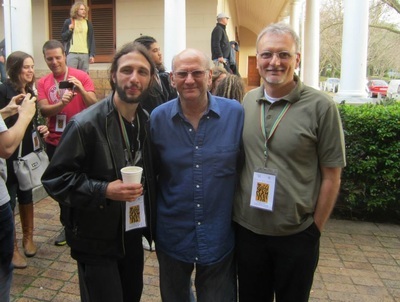 They were accompanied by Prof Mike Rossi from UCT. Elizabeth Gaylord (piano) and Sibusiso Matsimela (bass) from the SA College of Music at UCT, are the recipients of the 2015 SAJE/AJF Cultural Exchange Bursary to Italy. 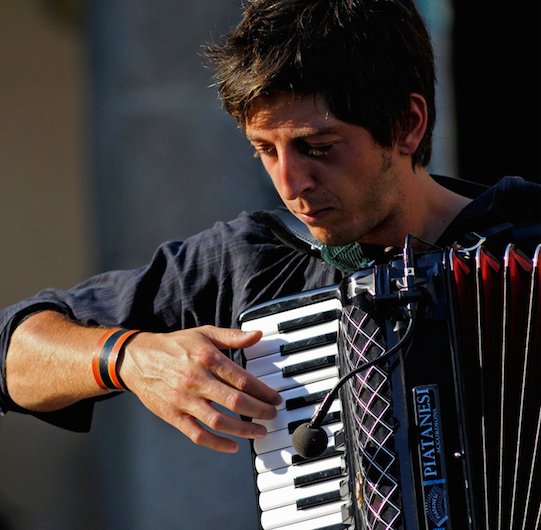 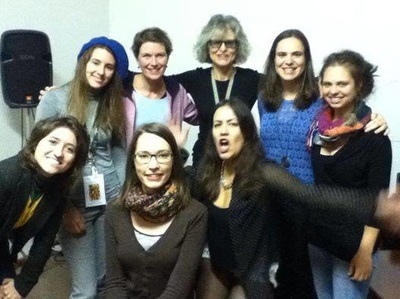 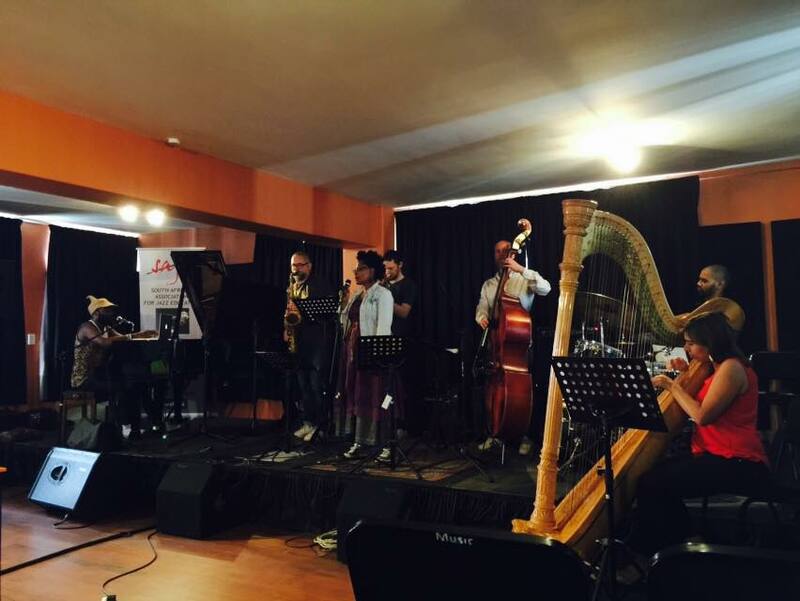 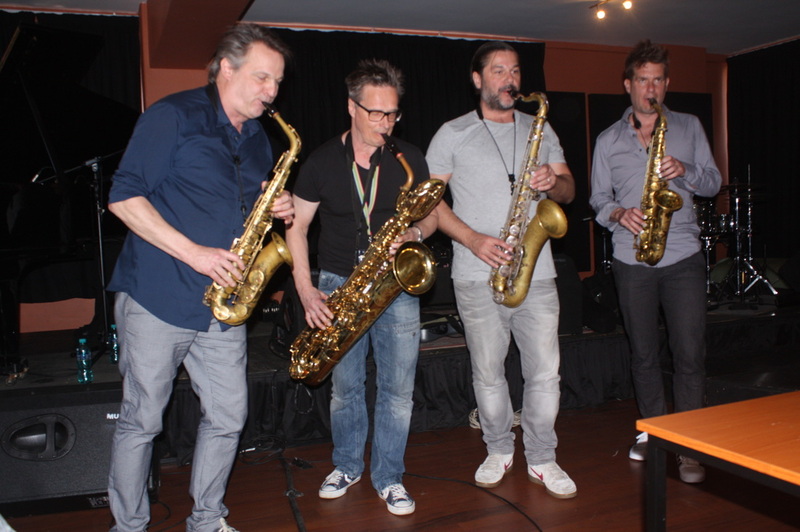 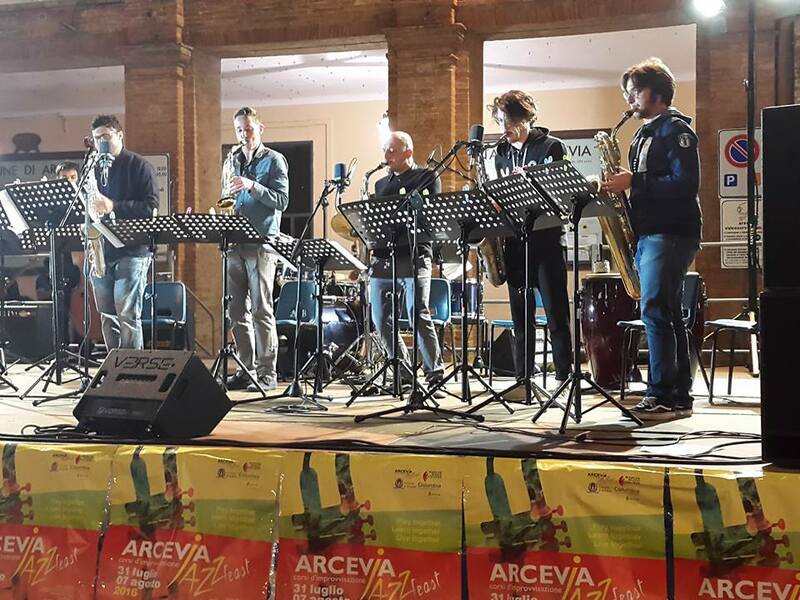 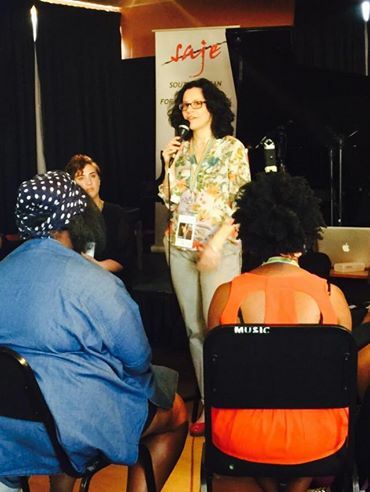 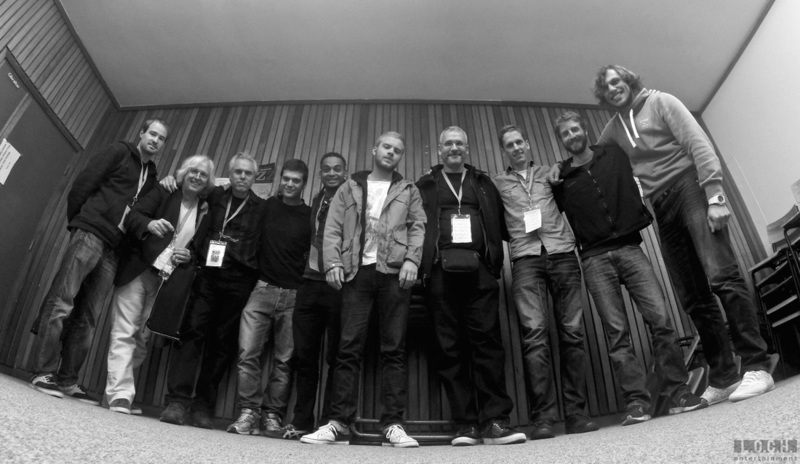 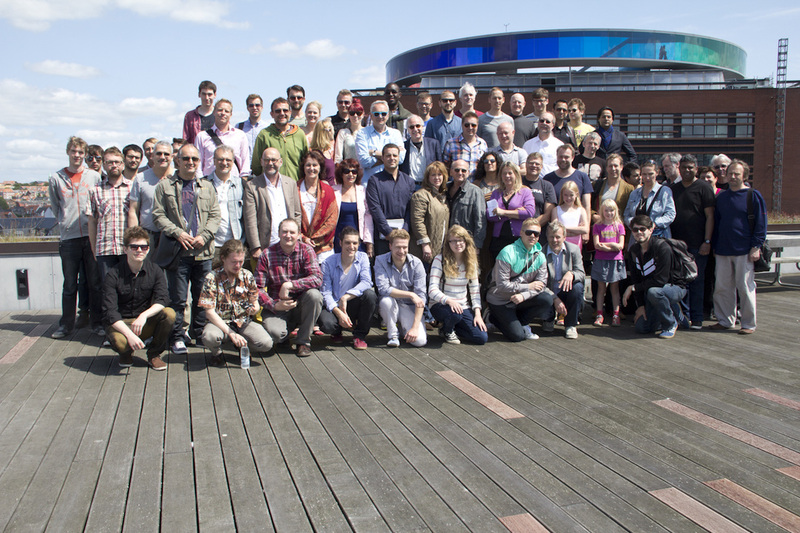 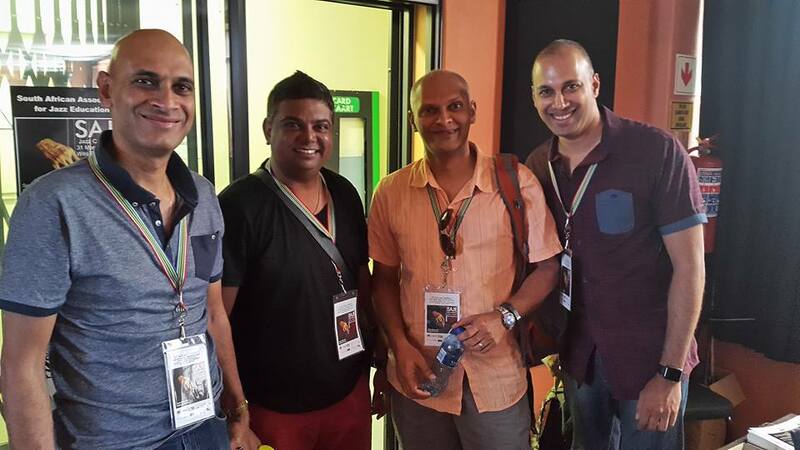 They attended the ARCEVIA JAZZ FEAST from 26 July to 2 August 2015, as well as traveled and performed in Italy. 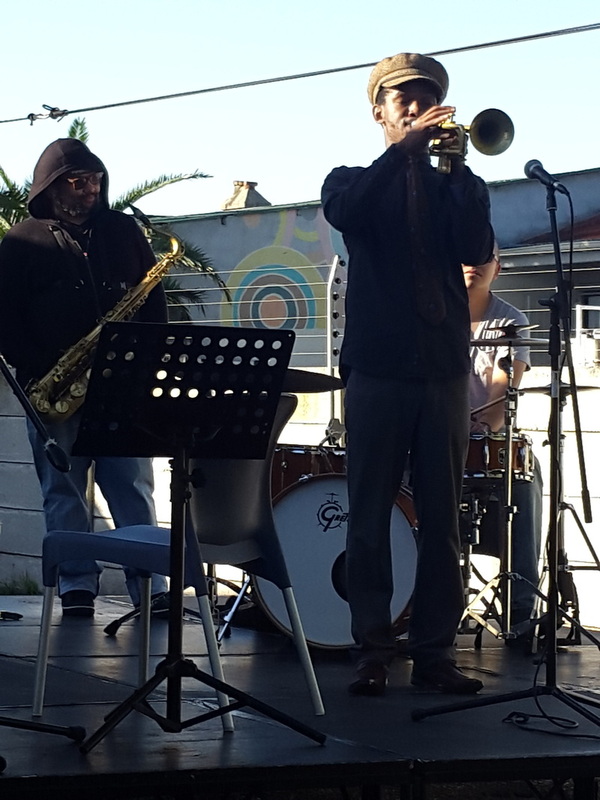 They were accompanied by Prof Mike Rossi (SAJE President 2012-2016) from UCT. 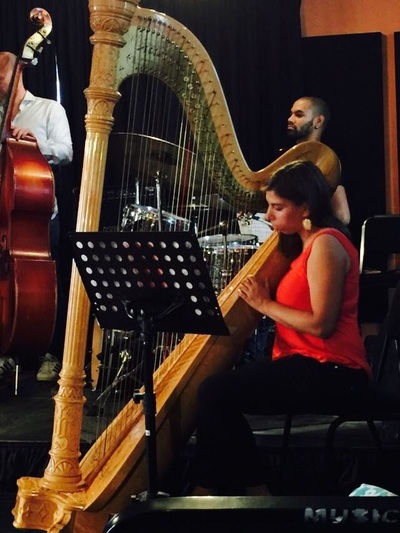 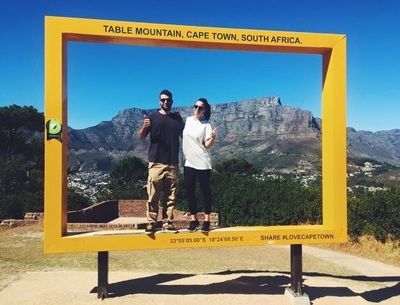 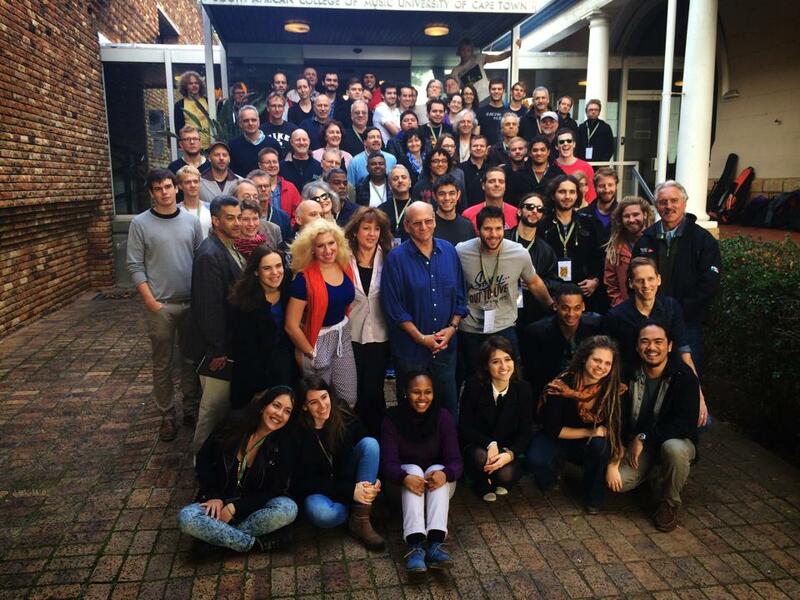 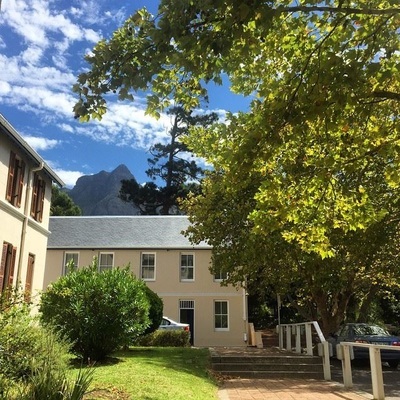 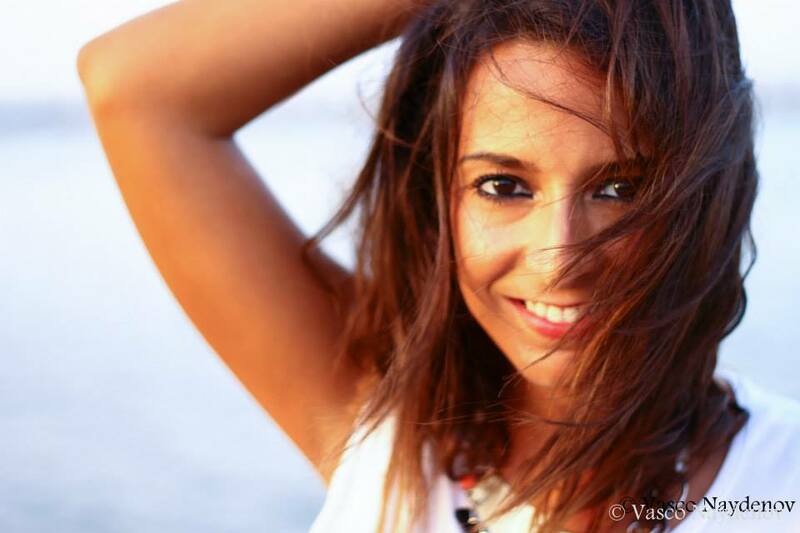 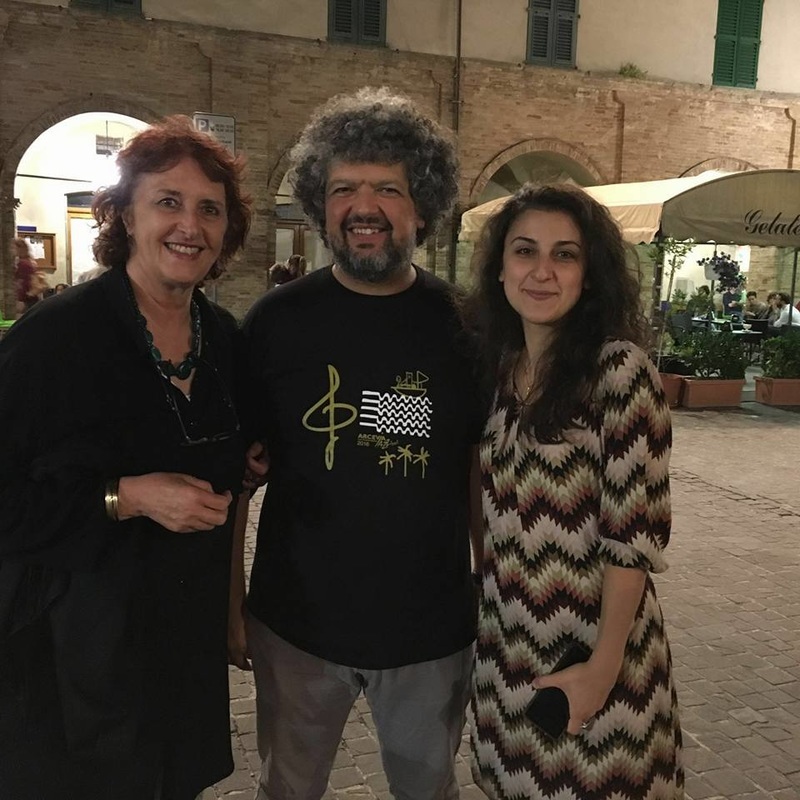 During March 2015 Italians Alessandra Abbondanza (voice) and Jacopo Ausili (drums) spent 3 weeks in Cape Town and at UCT on a SAJE cultural exchange bursary. 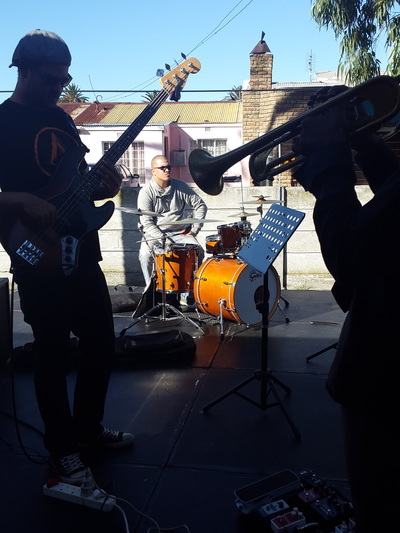 They performed at Westerford High School on 19 March and at Rustenburg Girls High School on 25 March, as well as at numerous jam sessions in the City. 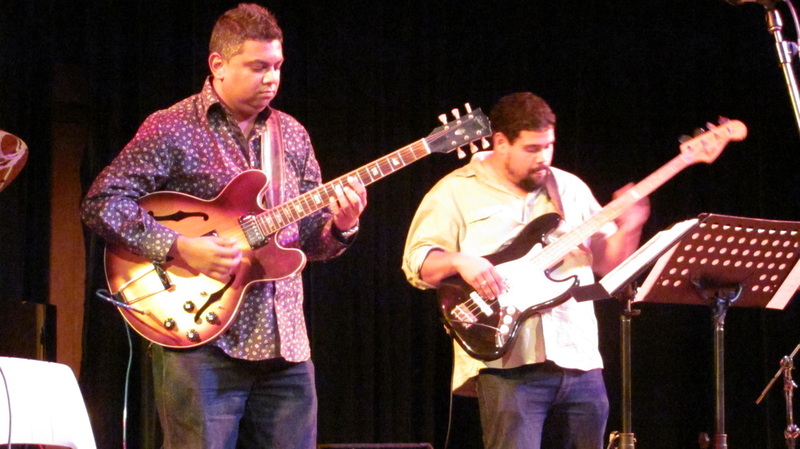 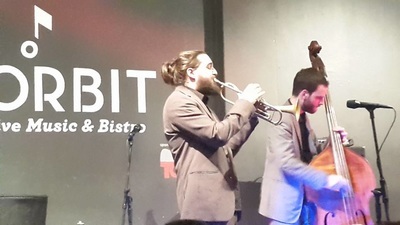 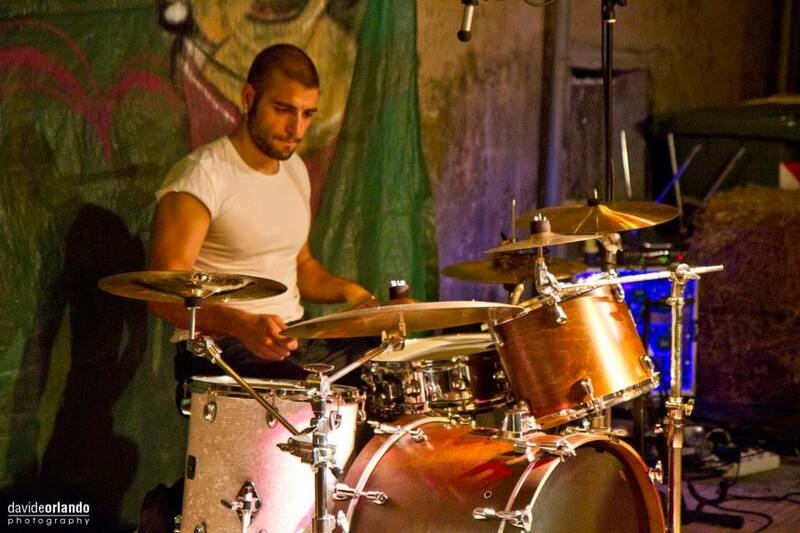 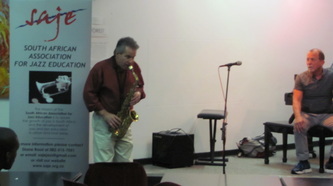 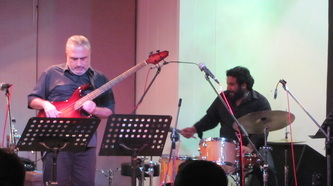 They also performed as special guests at The CRYPT on 26 March with the Emilio Marinelli Trio. 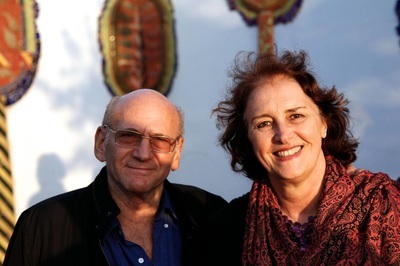 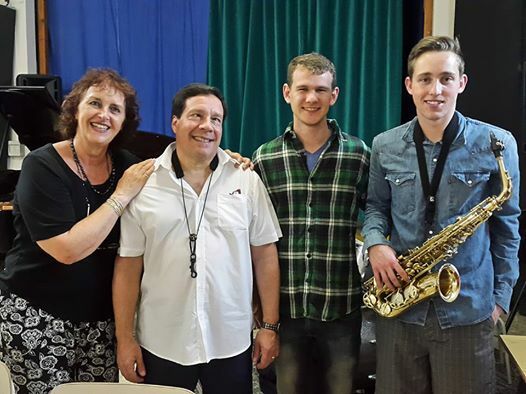 James McClure (trumpet/flugelhorn) and Amy Campbell (piano/voice) from the SA College of Music at UCT, are the recipients of the 2014 SAJE Cultural Exchange Bursary to Italy. 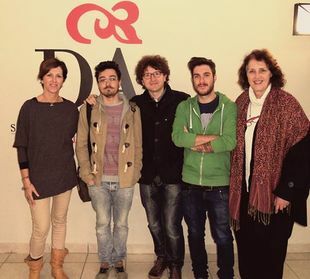 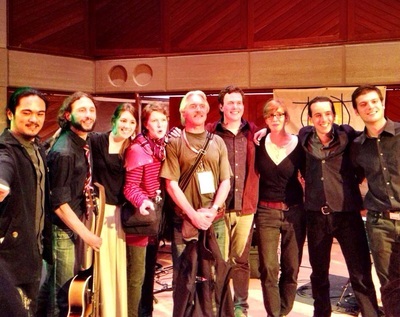 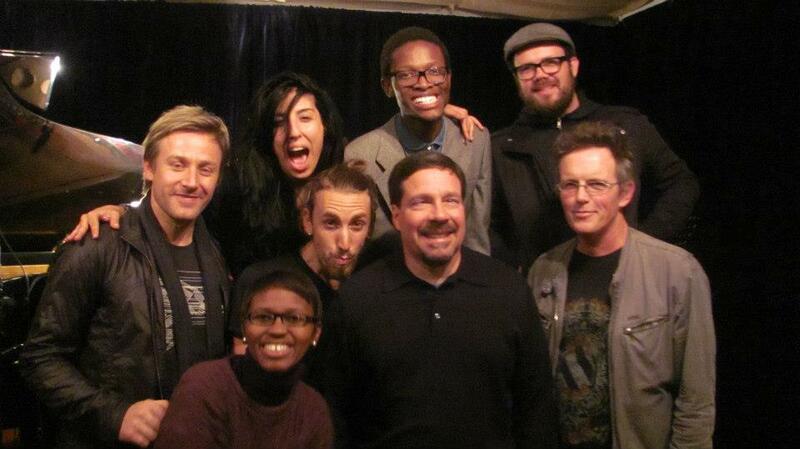 They will attend the ARCEVIA JAZZ FEAST from 27 July to 4 August 2014, as well as travel and perform in Italy. 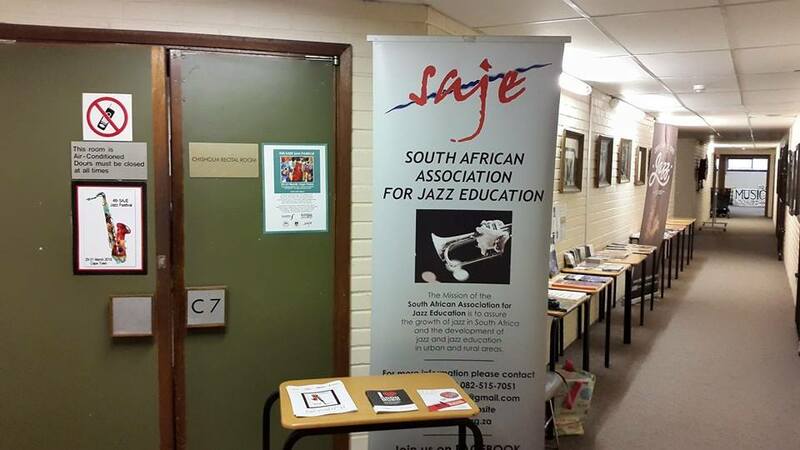 They will be accompanied by Prof Mike Rossi (SAJE President) from UCT. 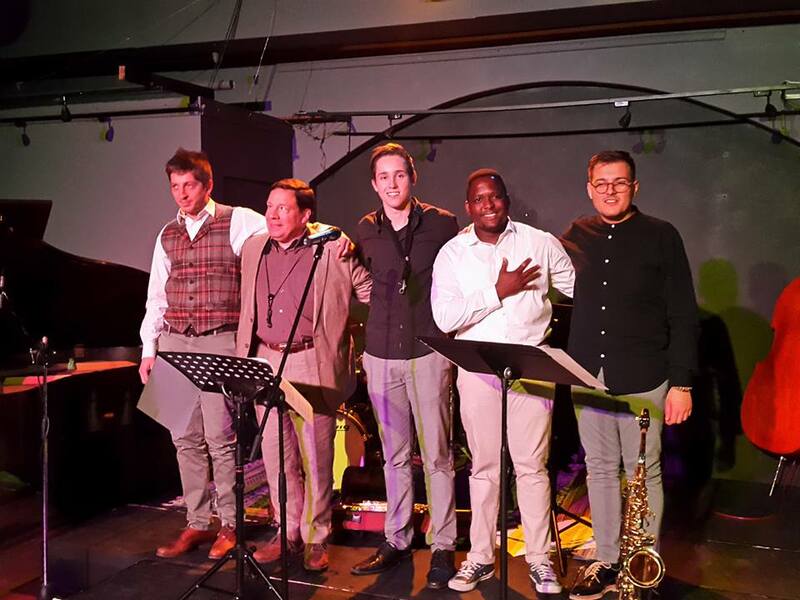 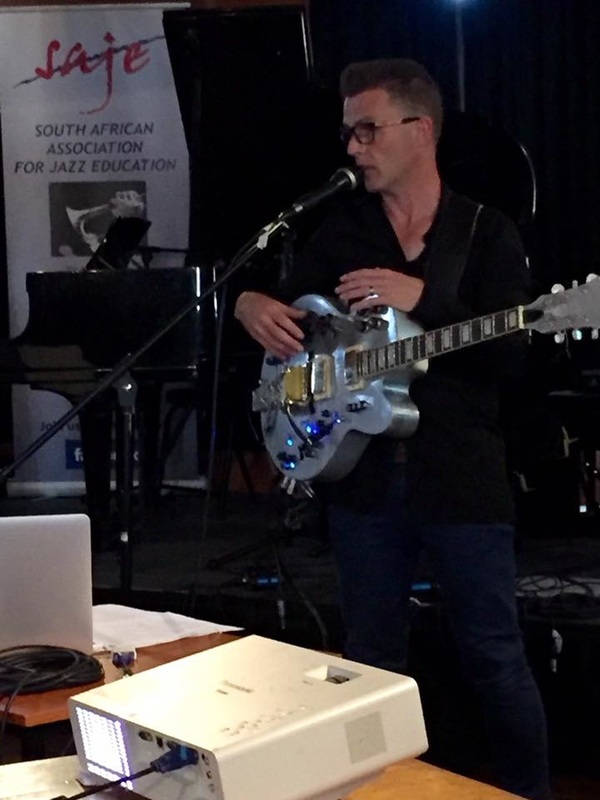 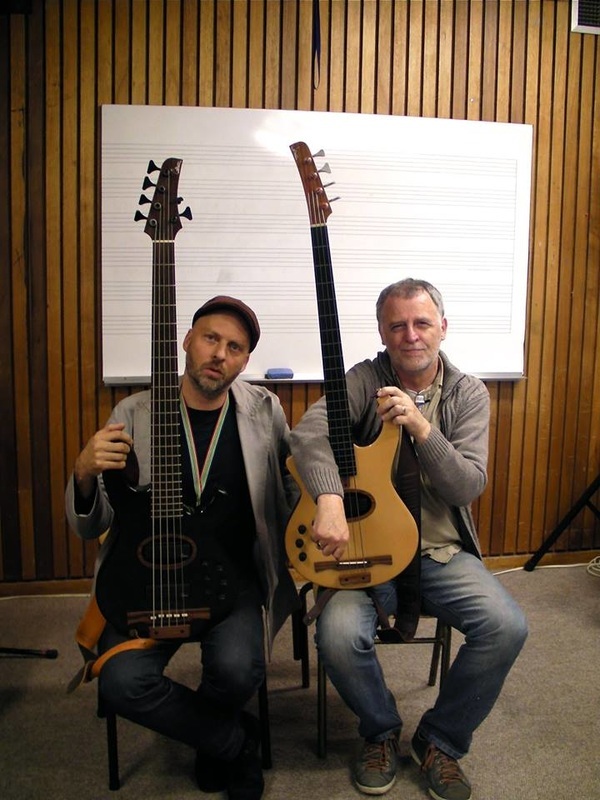 Italian jazz guitarist Giovanni Baleani spent 2 weeks in Cape Town and at UCT in September 2014 on an SAJE/AJF cultural exchange bursary. 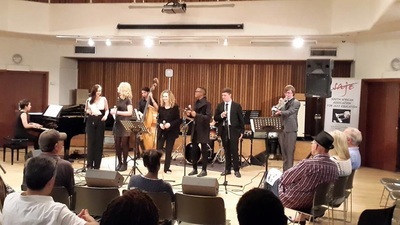 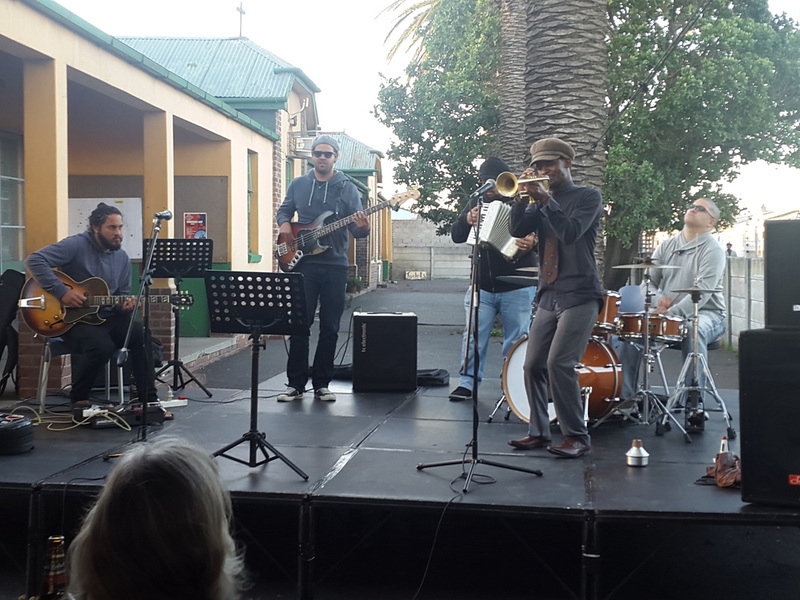 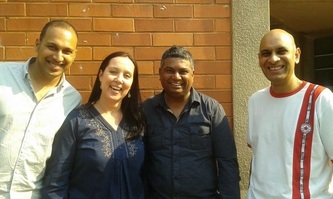 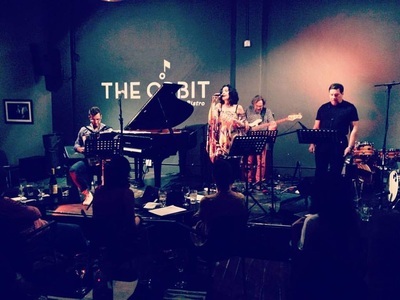 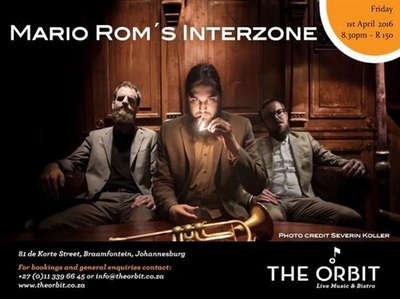 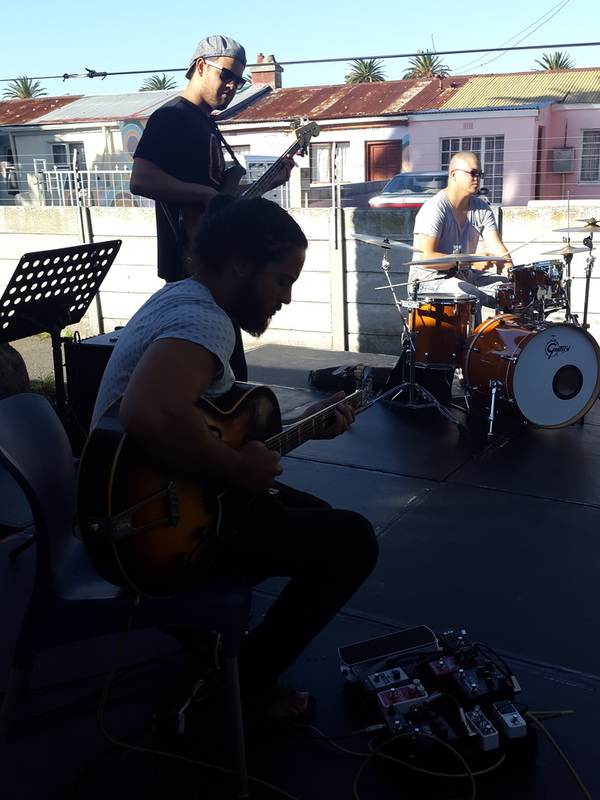 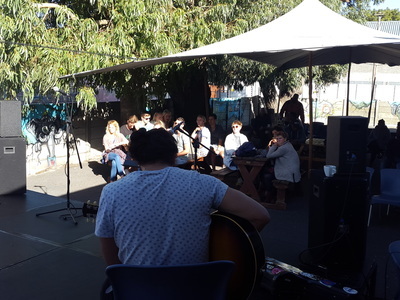 Giovanni, Amy Campbell and James McClure, as well as previous bursary winner Marlon Witbooi (drums) performed at Straight No Chaser Club on 10 September and at THE CRYPT on 16 September. 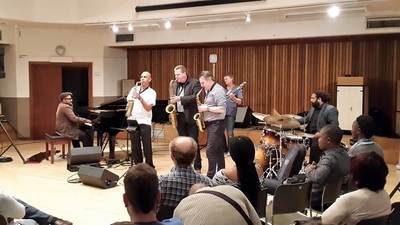 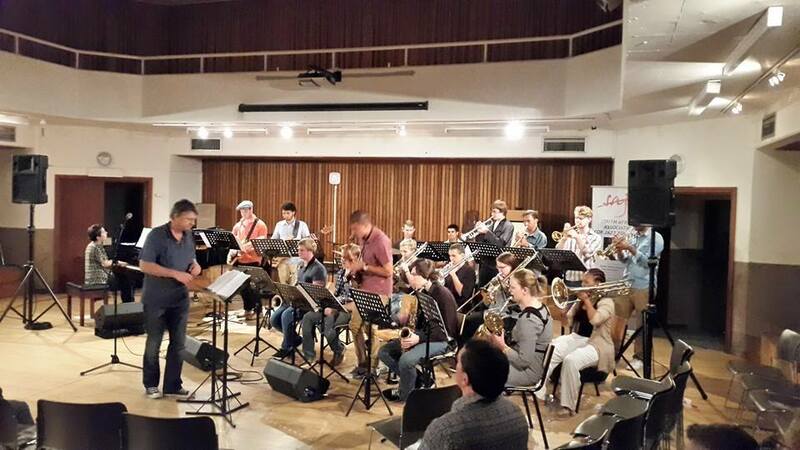 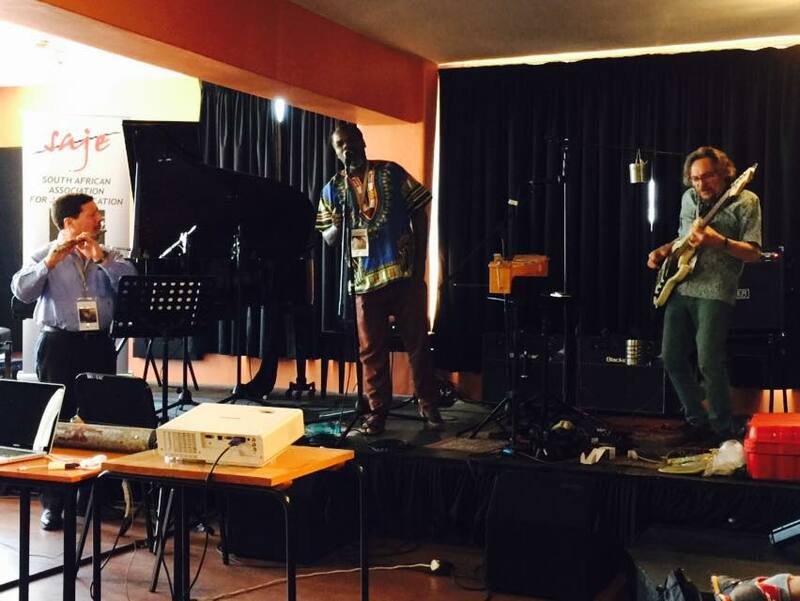 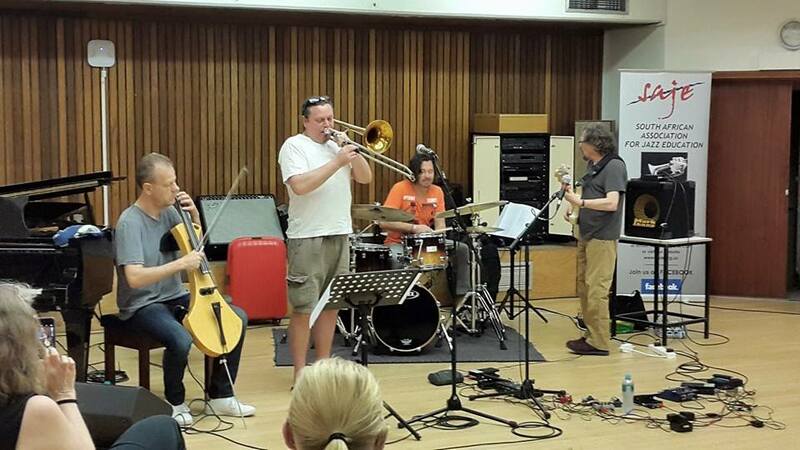 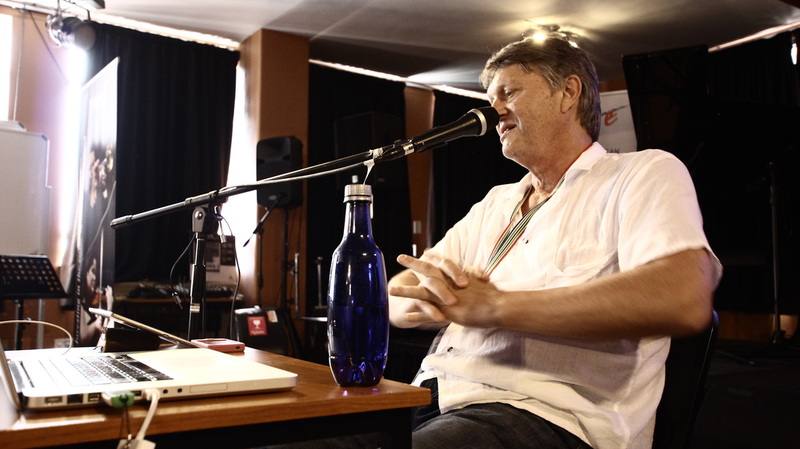 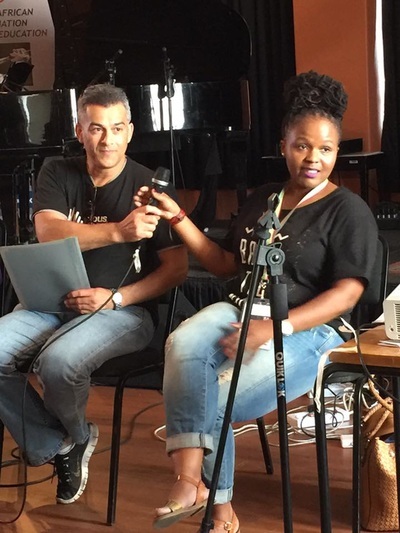 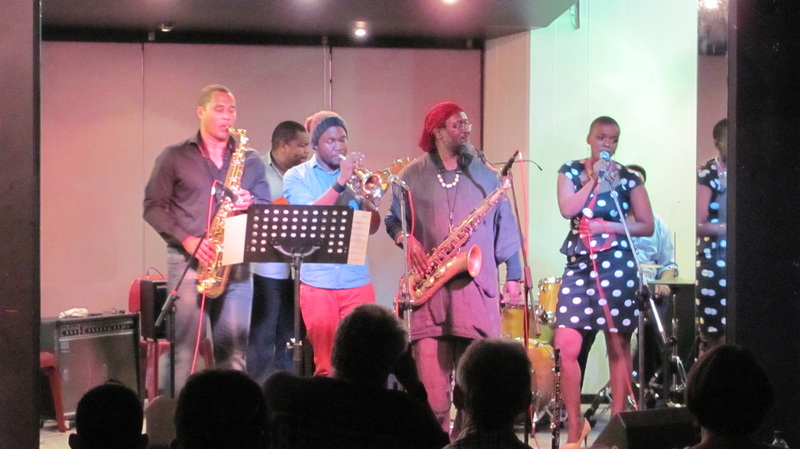 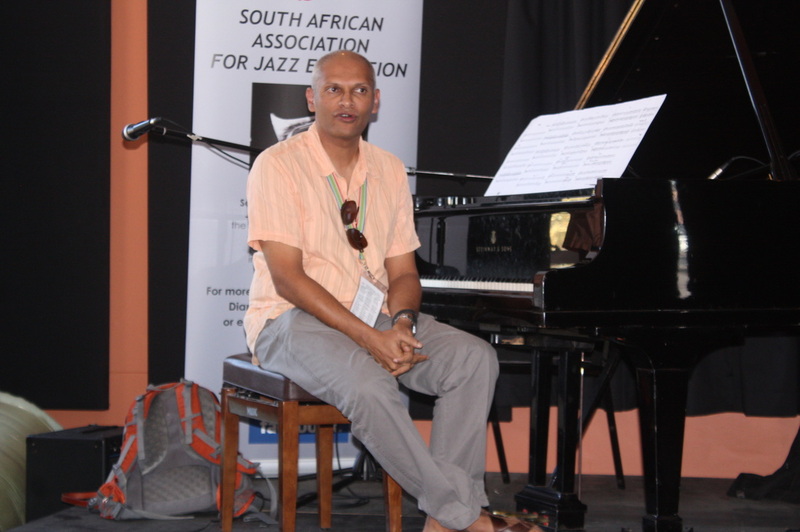 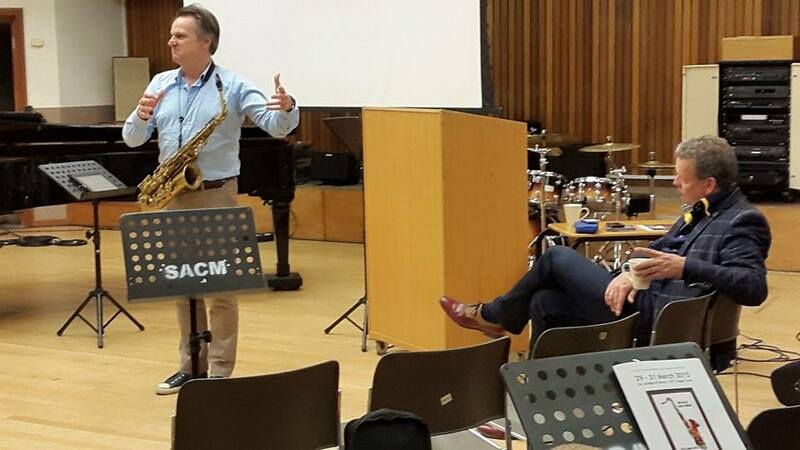 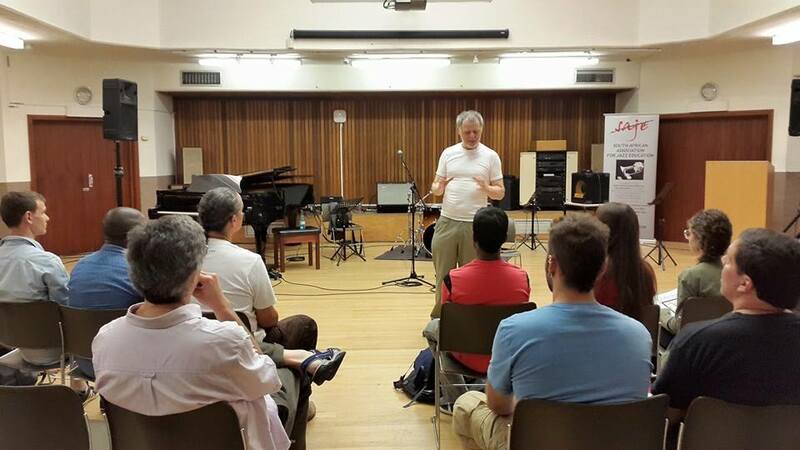 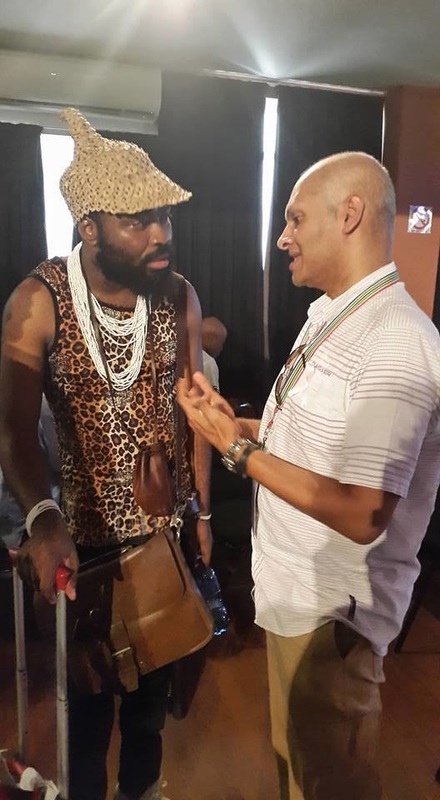 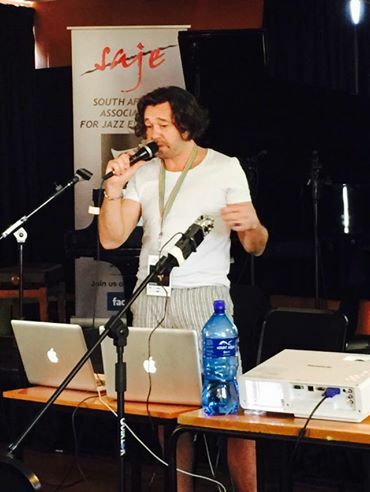 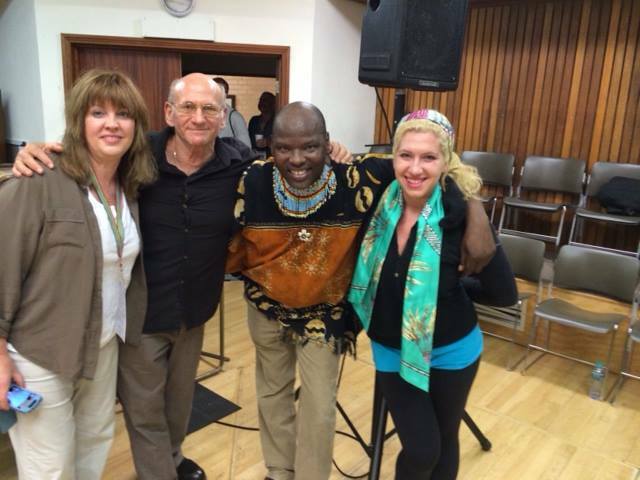 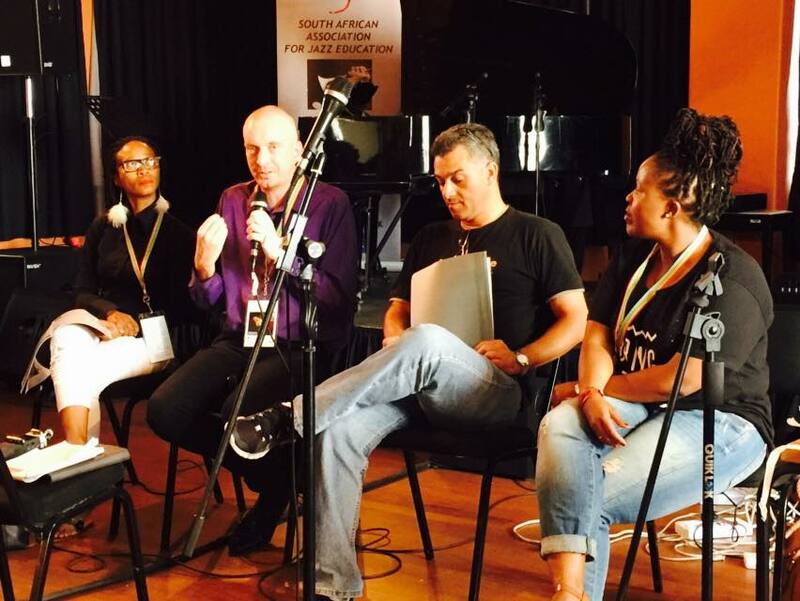 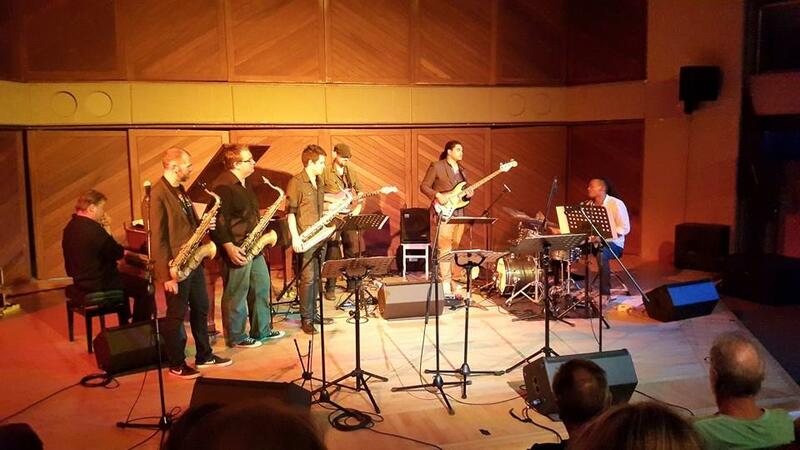 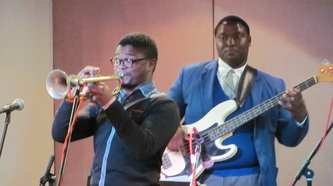 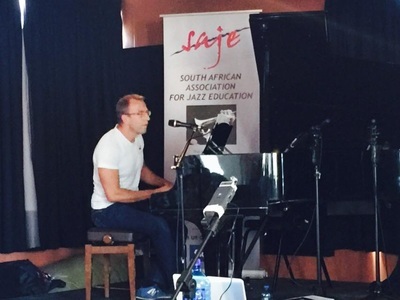 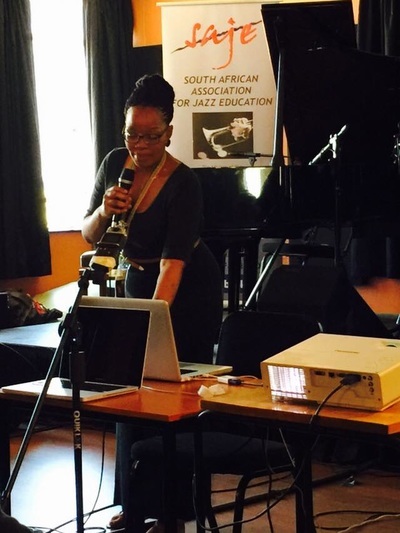 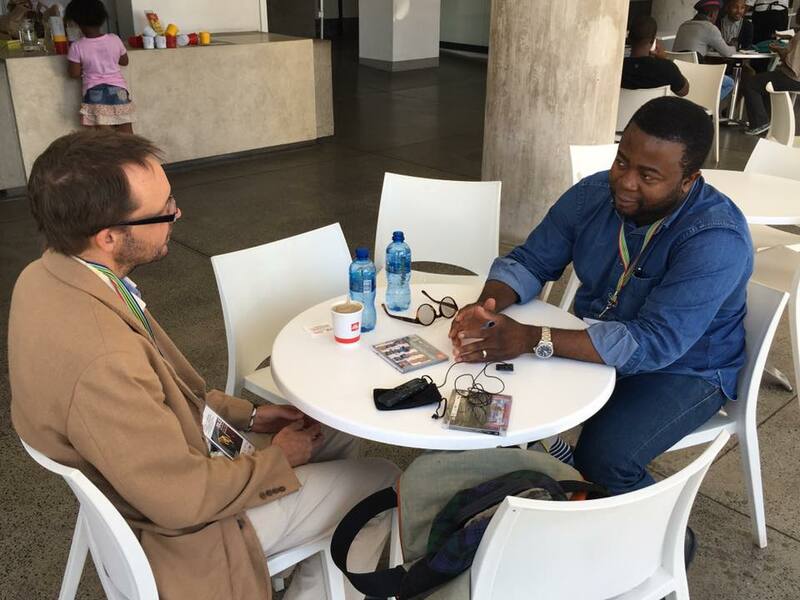 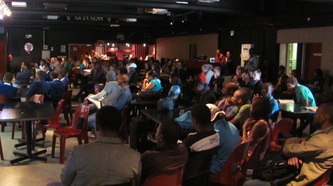 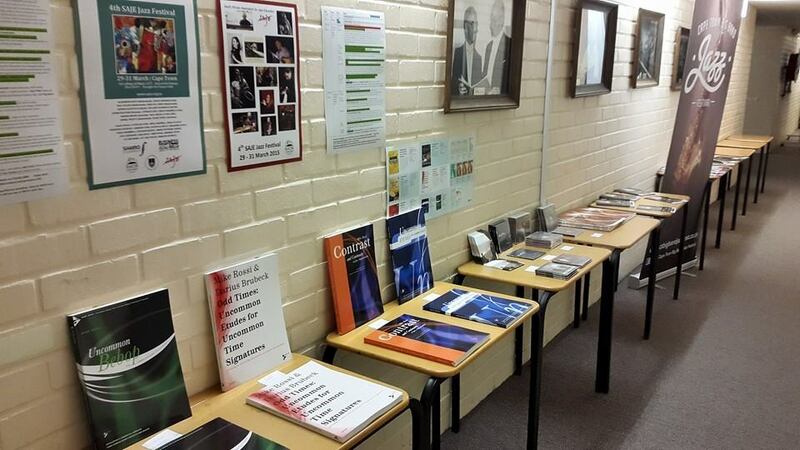 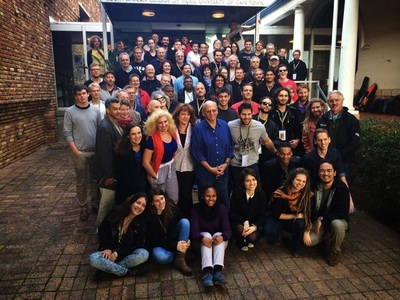 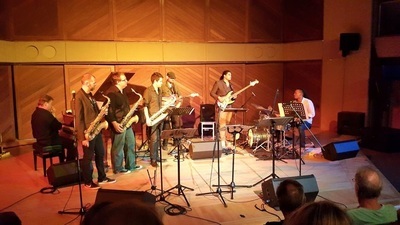 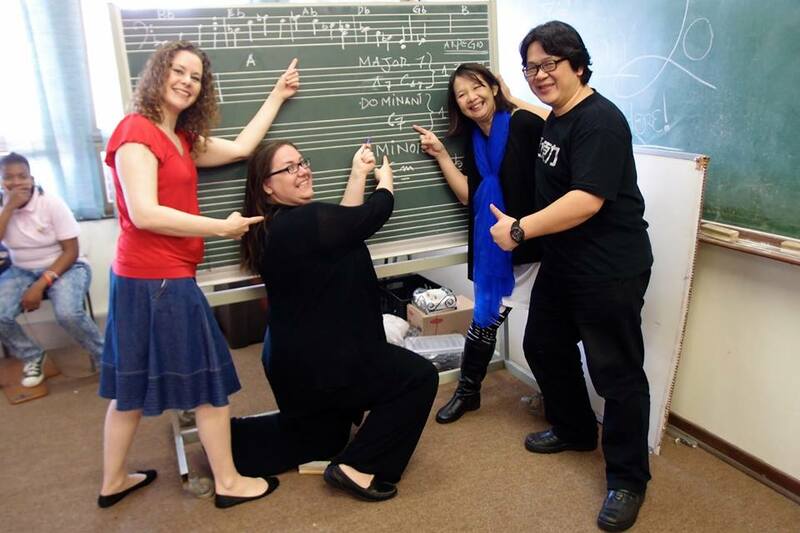 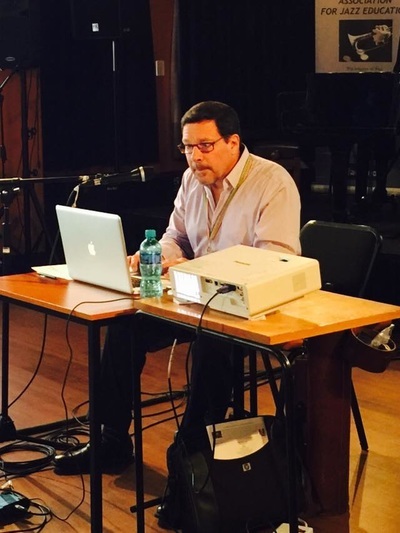 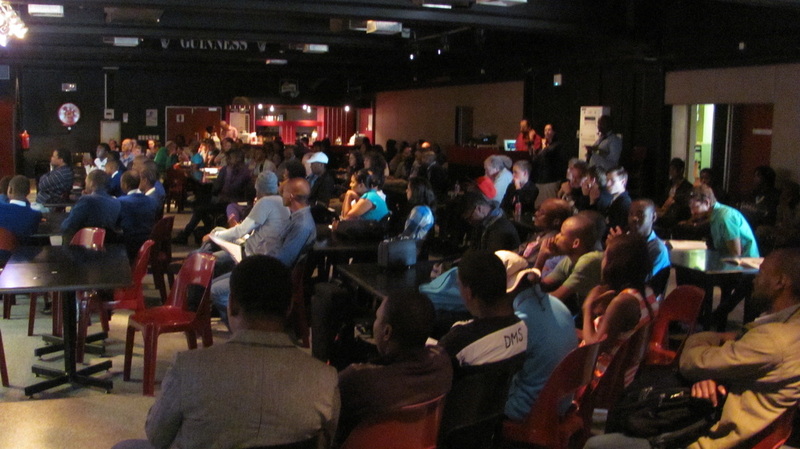 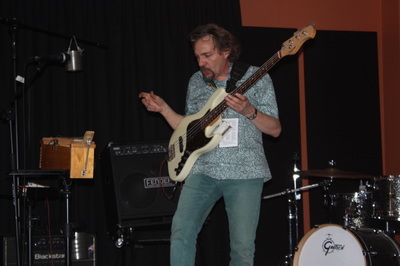 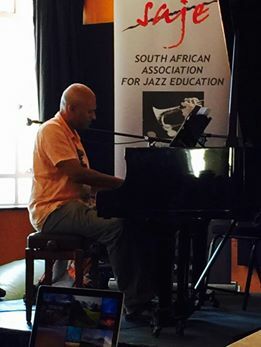 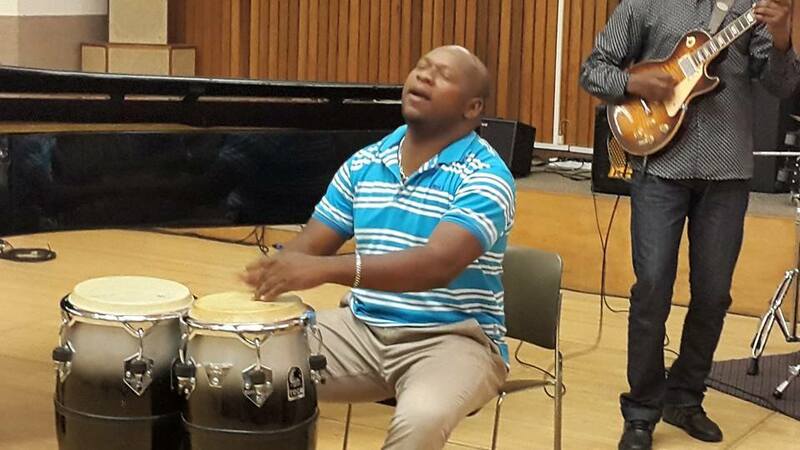 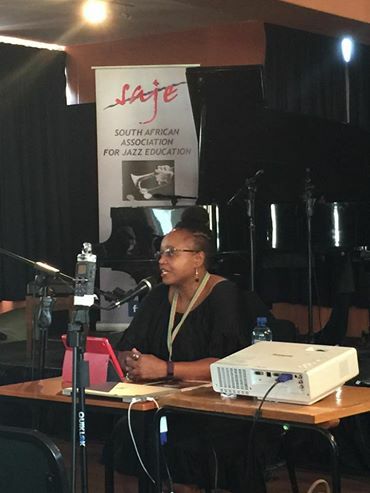 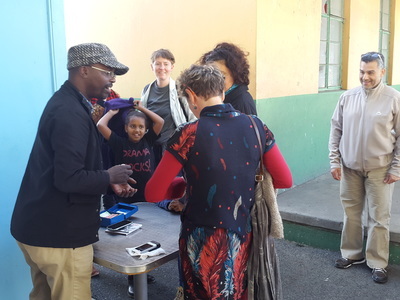 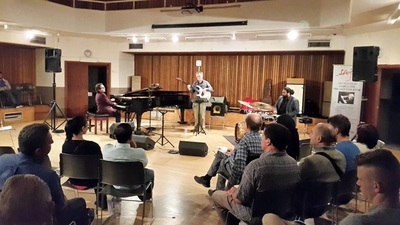 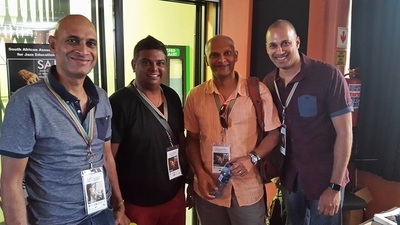 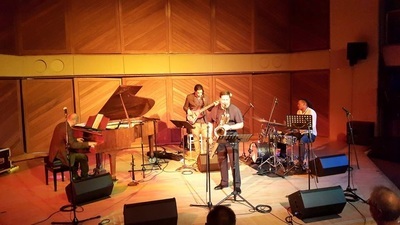 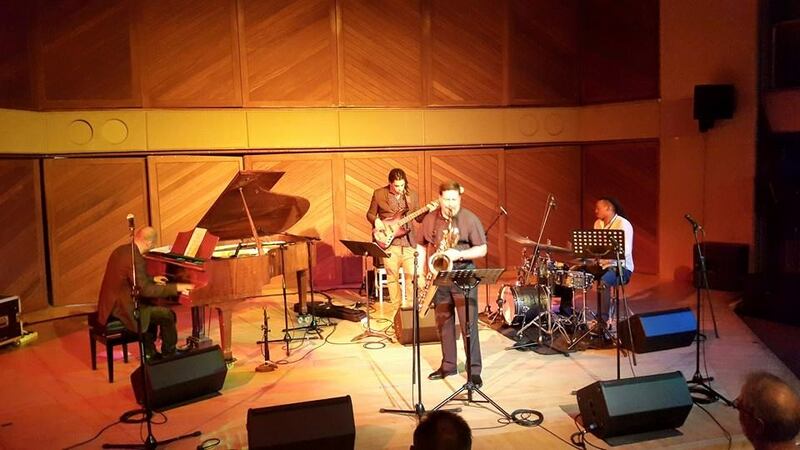 The 24th annual Jazz Meeting of the IASJ - International Association of Schools of Jazz - took place in Cape Town, South Africa at the SA College of Music at the University of Cape Town from 21 to 27 June 2014. 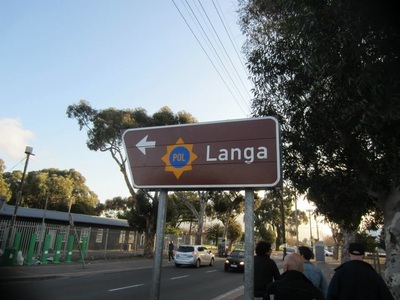 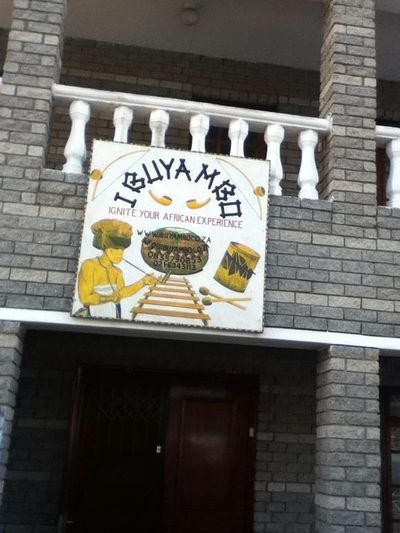 The first time on the African continent. 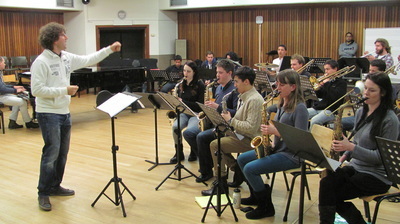 The SA College of Music at UCT was the host school and SAJE was the organizing body. 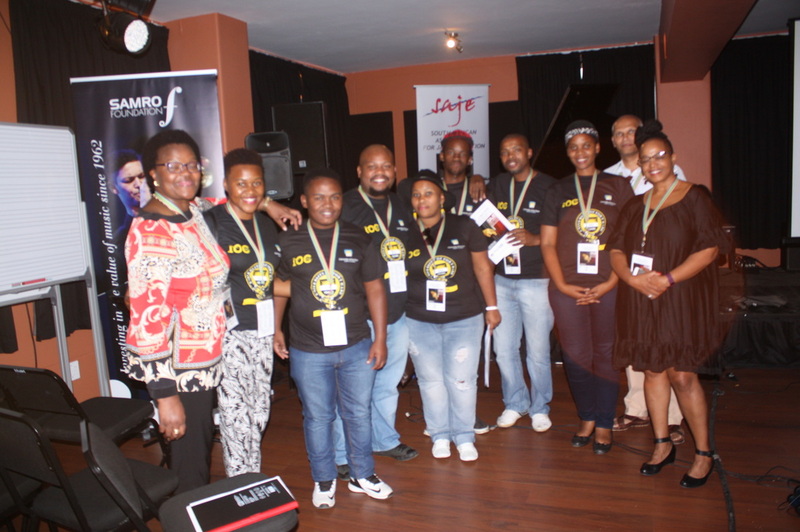 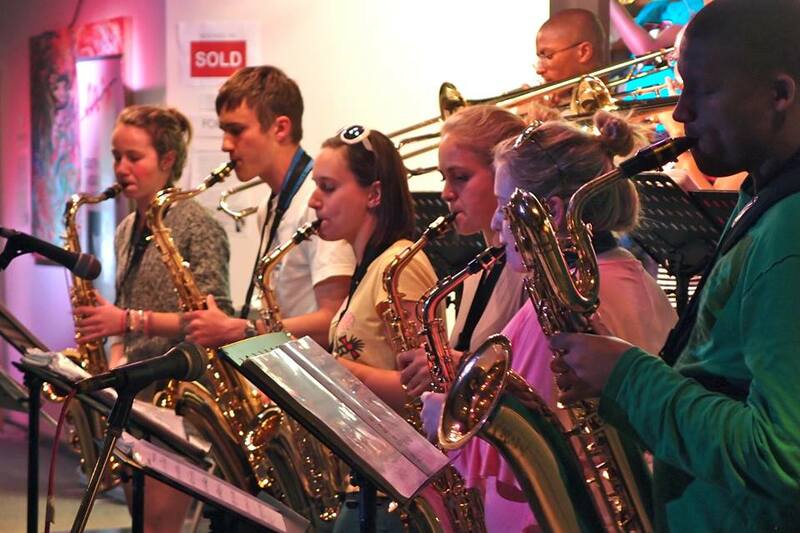 "Supported by the SAMRO Foundation, Business and Arts South Africa, The Centre for Jazz and UKZN, as well as various tertiary institutions and embassies, the South African Association for Jazz Education organiser, Diane Rossi, along with the many helpers who worked around the clock, can tick the 2013 box with satisfaction and the sense of a task well done. 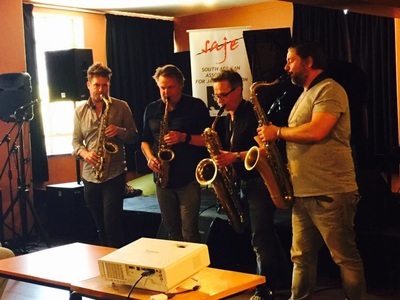 Brilliant concerts, interesting collaborations and the strong education element ensure that jazz is very much alive and kicking!" 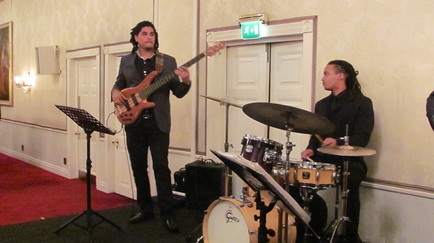 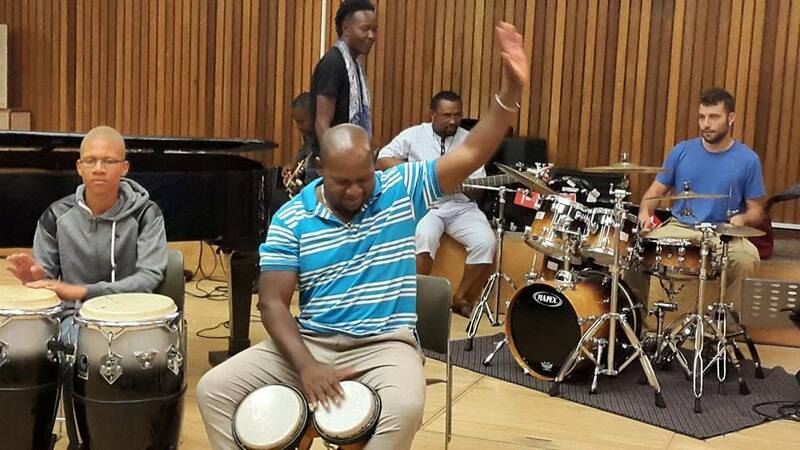 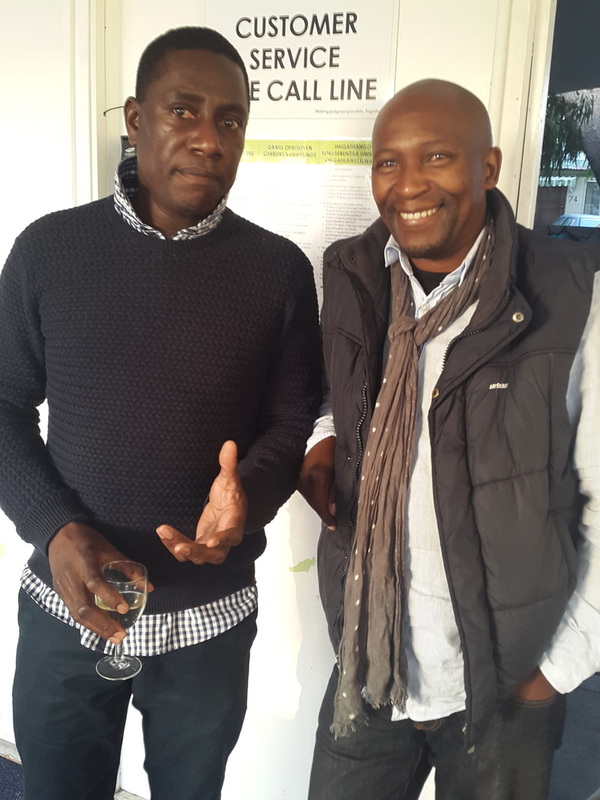 Benjamin Jephta (bass) and Marlon Witbooi (drums) from the SA College of Music at UCT, are the recipients of the 2013 SAJE Cultural Exchange Bursary to Italy. 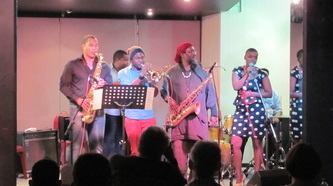 They will attend the ARCEVIA JAZZ FEAST the last week of July, as well as travel and perform in Italy. They will be accompanied by Prof Mike Rossi (SAJE President) from UCT. 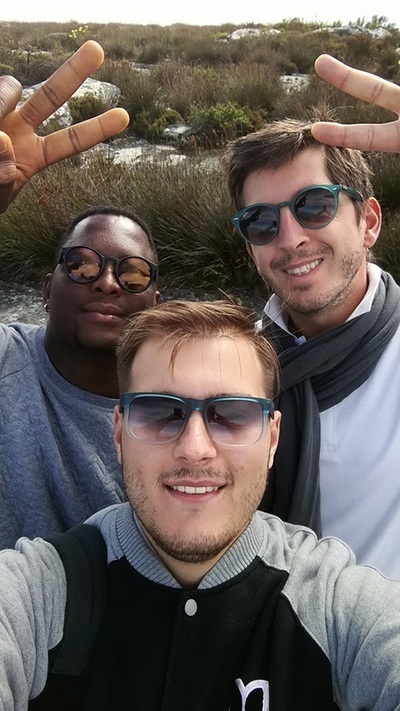 During August 2013, two Italian students Francesco Cangi (trombone) and Nico Tangerlini (piano) will spend just over two weeks in Cape Town and at UCT on an SAJE cultural exchange bursary - studying and performing. 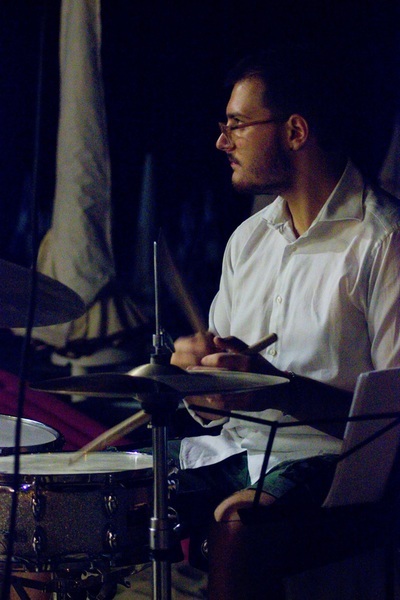 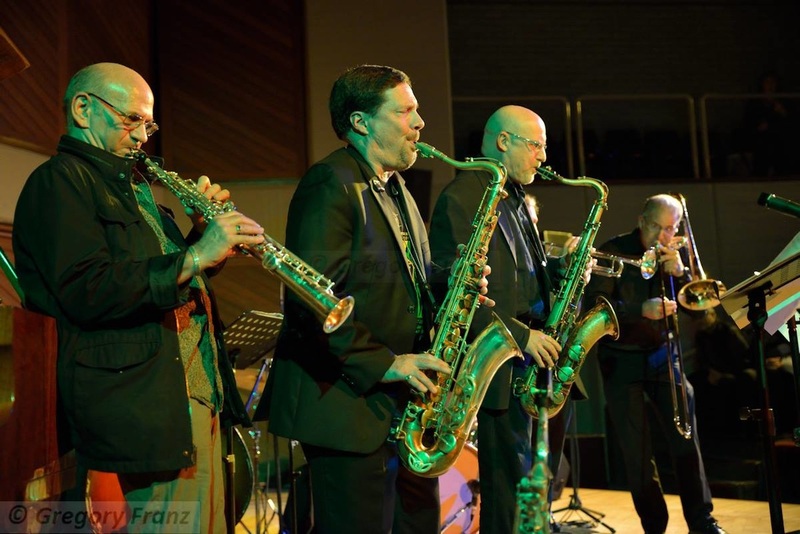 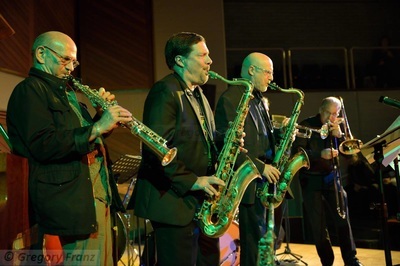 They will be accompanied by trombonist and jazz educator Massimo Morganti. 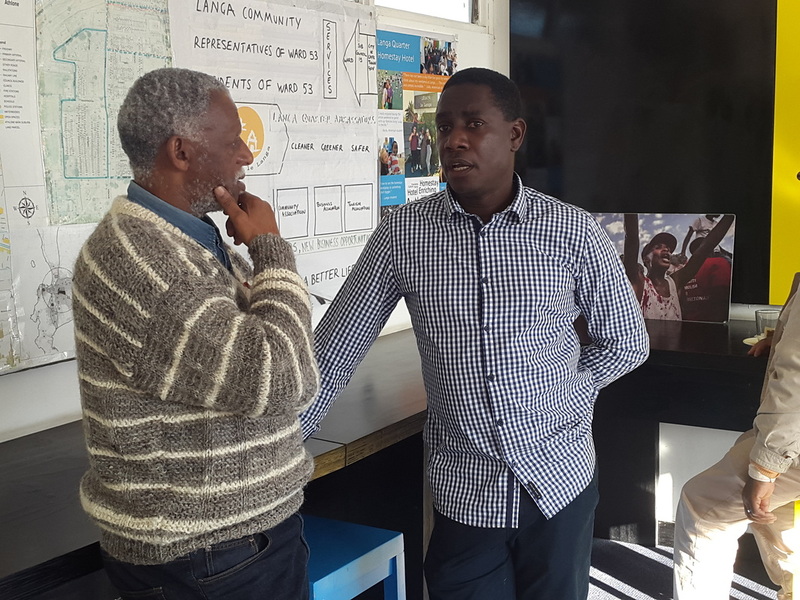 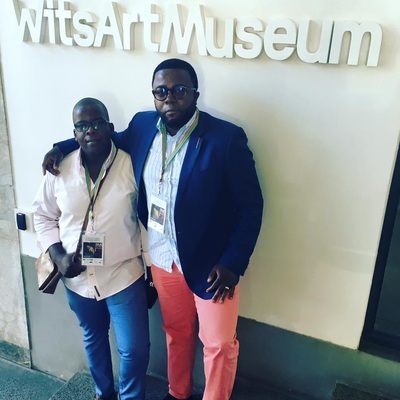 Vuyo Sotashe (voice) and Siya Charles (trombone) from the SA College of Music at UCT, are the first ever recipients of the SAJE Cultural Exchange Bursary to Italy. 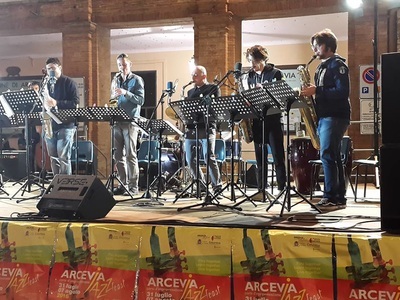 They will attend the ARCEVIA JAZZ FEAST in Arcevia, Italy the last week of July, as well as travel and perform in Italy. 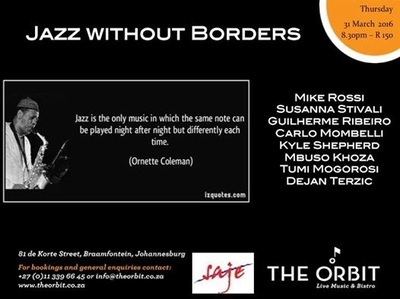 They will be accompanied by Prof Mike Rossi (SAJE President) from UCT. 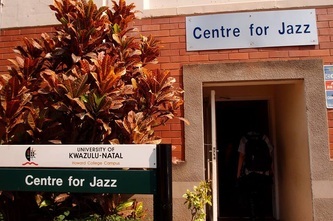 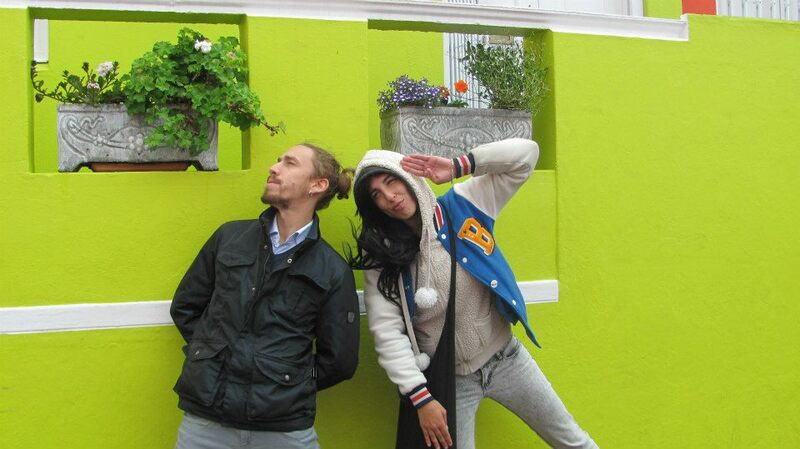 During August 2012, two Italian jazz students Francesca Biancoli (voice) and Ricardo Trasselli (bass) will spend just over two weeks in Cape Town and at UCT on an SAJE/Arcevia Jazz cultural exchange bursary - studying and performing. The UCT Jazz Voices features: Leah Adams, Margot De Bruyn, Sade Ross, Vuyo Sotashe, and Chad Zerf. 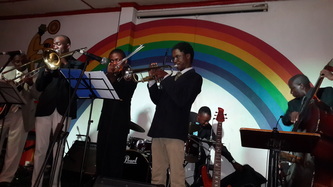 They are backed by Darren English on trumpet, Benjamin Jephta on bass, Marlin Witbooi on drums and Amanda Tiffin on piano. 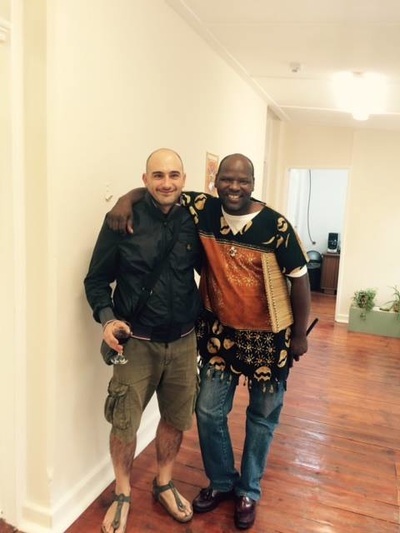 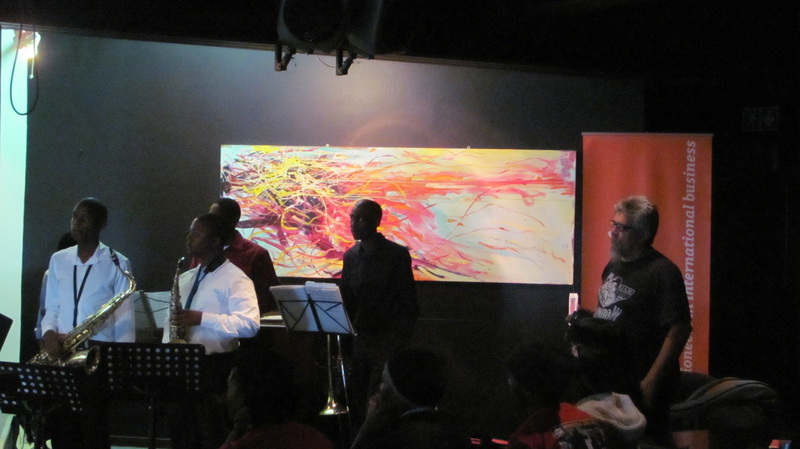 Mike del Ferro (Holland) and Sandile Gontsana (South Africa) - fabulous collaborative concert. 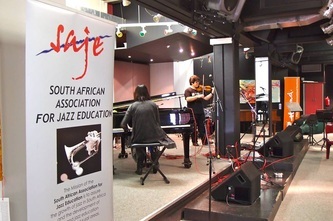 27 photographs - Top local and international jazz artists and educators converged on UCT to present performances, workshops and research papers at the 10th South African Association for Jazz Education (SAJE) Jazz Conference at the South African College of Music (SACM) from 29 to 31 March 2010. Gloria Cooper, Bob Sinicrope, John Baboian, Jim Repa, Reuben Alvarez and Mary-Jo Papich outside the SA College of Music, UCT.